Yoomi hates stinky, spicy kimchi—the pickled cabbage condiment served at Korean meals. So her brothers call her a baby and refuse to play with her. Yoomi is determined to eat kimchi. She tries to disguise it by eating it on a cookie, on pizza, and in ice cream. But that doesn’t work. Then Grandma shows Yoomi how to make kimchi pancakes. This story about family, food, and a six-year-old "coming of age" has universal themes, and at the same time celebrates Korean culture. Includes backmatter about kimchi, and a recipe for kimchi pancakes that you can make at home! Aram Kim was born in Cincinnati, raised in South Korea, and currently lives in New York City. 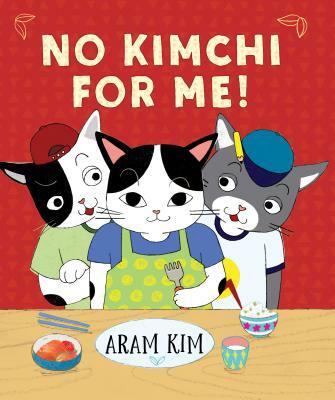 A graduate of Yonsei University in Seoul and the School of Visual Arts in New York, Aram is the author and illustrator of Cat on the Bus, her first picture book.